And then the sea came upon that sand and washed over our past prints but thankfully we can retain those lovely days within our memories. so touching ! love the style ! Maybe this footsteps stay there forever, hidden to the eyes, but silent witnesses of gone by times. You are a perfect haiku maker, BB! What's sweet is hard to erase. Yup, who knows the footsteps remain no matter how many times tide washes over it. It can still be felt and seen by the heart. This is very emotional Balqis, absolutely lovely. Tinged with yearning...Beautifully done Balqis. 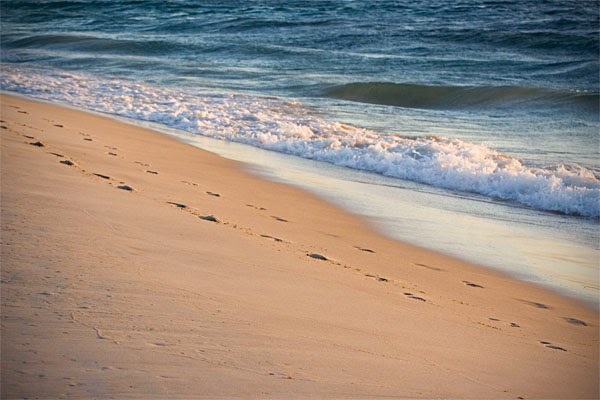 Nostalgic sand holds footsteps of memories! Many memories can be found on the sand of many beaches around the world. Nice words Balqis. Nice images too. ..but remain in loving memory. Nice to revisit places that hold memories. More so when it involves two beings with feelings for each other. Wonderful write Balqis! Aww.. tugs at my heart !! Haiku Horizons? It sounds like Haiku Heights. Wow!!! I'll join this blog. Missed my haiku friends! Yup, you better check it out. See you there!